Socrates' friend, Chaerephon, asked the oracle, in Delphi, if there was someone wiser than Socrates to which the Oracle replied “no one”. 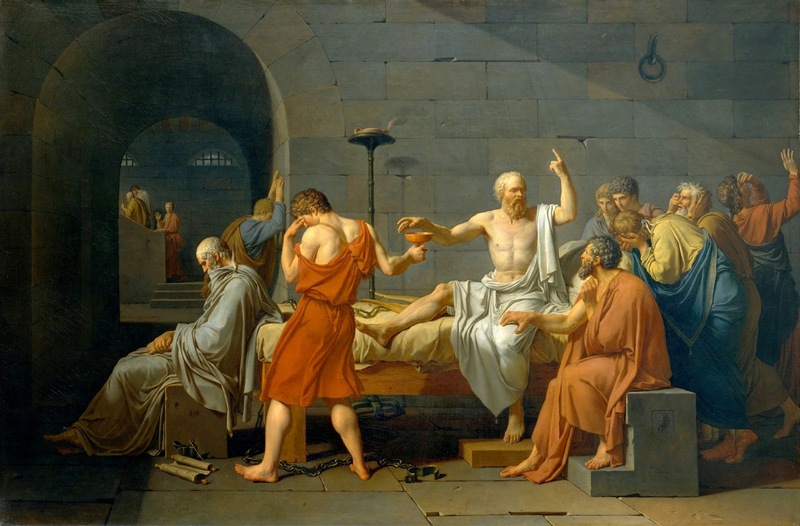 Socrates, who had heard of the tale thought it was ridiculous since he felt like he wasn't the wisest man. This began his journey to find a wiser man than he was. He had a similar experience with every wise person he met. This quest eventually brought his death after he angered too many wise people in power; who then gave him the death penalty. Socrates died in 348 B.C. by willingly drinking poison following is death penalty. There are no known written document, by Socrates, that survived. Everything we know about this Philosopher was brought down to us by his students, mainly Plato, who followed him and documented his journey. What we can learn from this story is that when we think we “know”, we sometime become arrogant and take offence when exposed to new ideas. It is important that we remain humble and curious so we can be opened to those new ideas and grow as human beings.